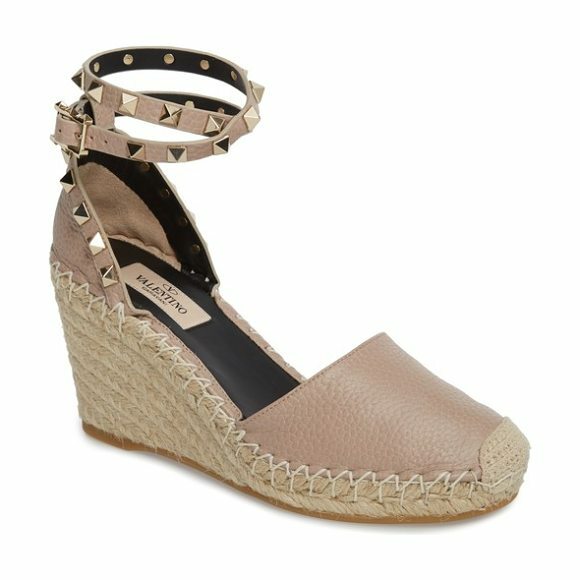 Signature rockstuds trace the heel and encircle the ankle of a breezy wedge crafted from pebbled leather and braided jute. 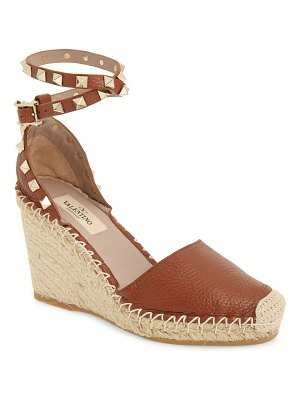 Style Name: Valentino Rockstud Espadrille Wedge (Women). Style Number: 5236447. Available in stores.